Agriculture in Nigeria has suffered from years of mismanagement, inconsistent and poorly conceived government policy and lack of basic infrastructure, still the account for over 21.6% GDP and two third of employment. Nigeria is no longer a major exporter of cocoa, groundnut, rubber and palm oil. A more dramatic decline in groundnut and oil palm also has taken place. Just think of how insane these years, Nigeria which was the No 1 producer of palm oil in the world in the 60’s. In the 60’s we were controlling over 28% of the global market for palm oil. Today we are at zero; we are importing crude palm oil. Before 1965, Nigeria was the world largest producers of palm produce but has seized to contribute to the world’s export commodity since 1974 except palm kennel. At the time of country independence from the hand of British colonial rule in 1960, palm oil contributed 82% of national export revenue. However, the oil bump of the mid 70’s and subsequent decline of farming proved catastrophic to the sector. By the end of 20th century, Nigeria palm oil harvest has reduced to just 7% of the global production; more embarrassingly, the once largest exporter of palm oil has turned into a less important oil palm producer sourcing more than 180 thousand metric tonnes of the commodities from the international market to meet local demand. 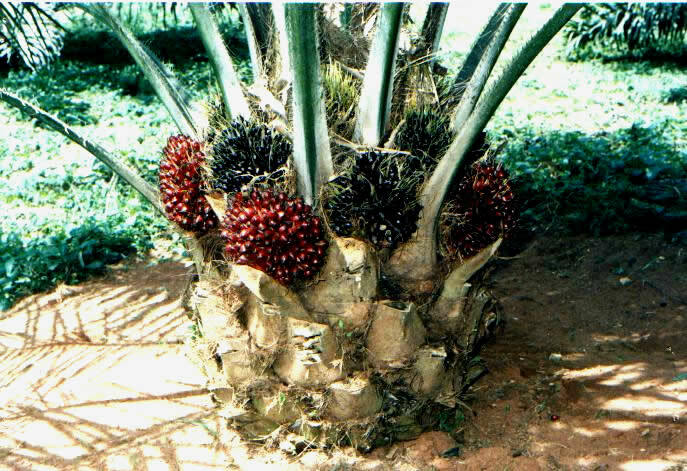 Malaysia came to Nigeria in 1960’s and got the oil palm seedlings in NIFOR in Benin City and took it to Malaysia. Currently, Malaysia makes roughly 18 billion dollars annually on oil palm and all of his derivatives. Nigeria is importing crude palm oil from Malaysia. “That’s insane”. I feel very ashamed about that. Currently, 80% of production comes from scattered small holding spread over an estimate of 1.6 million hectares of land, in contrast, plantation occupies only about 300,000 hectares coming up over the last decade with private sector investment. Oil palm is more lucrative and a little bit easier to manage compare to cocoa that is very prone to disease. We need to invest a lot of money in research because we have been planting the same variety (Tenera) for over 40 years ago. Vascular wilt is also a disease of palm tree that will actually kill the palm and it is very prevalent in our environment. These are some of the things that our research institutes and government need to look into. Economic reform initiate since the reinstalment of democracy succeeded in taken out the sector out of stagnation between 2001 and 2005, palm oil production grew rapidly from 760MT to 800MT. The reason for this is as a result of ban imposed by Federal government in 2002 on palm oil and its product. However, the ban was reversed in January 2008. Inconsistent policy like this is largely to blame for the fact that Nigeria palm oil industry continues to plunder this path of agriculture through the last decade. The government needs to protect the existing investors and palm oil farmers by increasing the traffic on oil palm importation. This will encourage more people and investors to get involved in the oil palm industry. When 35% tariff duty was introduced then, more people were encouraged to produce more in the oil palm industry. If the federal government refuses to protect the oil palm industry, it will discourage people from venturing into the business or investing in the industry. If importation is allowed, people will not be buying from our farmers; indirectly, we are killing our own economy, we creating joblessness, so we got to wake up. When Nigeria make sure that our market is protected so that businesses here can strive and prosper. That’s how you create jobs; I don’t believe that lowering the tariff level of palm oil is in Nigerians’ interest. It will be the interest of a few business people that want to make a lot of profit but certainly not in the interest of Nigeria oil palm producers. Special thanks to the Former Minister of Agriculture for his immerse contribution in the sector.